And the revolving door of trailers continues as 20th Century Fox has thrown their hat in the ring with the first trailer for War for the Planet of the Apes or the the third film in their re-booted Planet of the Apes trilogy that will follow up Rise of the Planet of the Apes and Dawn of the Planet of the Apes. If nothing else, this week has shown what a stellar year 2017 could be for blockbusters as not only do the two Marvel offerings we've seen so far look genuinely solid, but Transformers always feels like an event, Baywatch looks like The Rock will continue his hot streak and Zac Efron will continue doing what he does best in R-rated comedies, as he also appears in the highly-anticipated eight entry in the Fast & Furious franchise, while any summer with a new Christopher Nolan film is one to be cherished. Sure, The Mummy may end up being a little underwhelming or it could turn out to be fantastic-who knows, but the point is that adding War for the Planet of the Apes to this roster only makes it look that much more impressive. I was genuinely thrilled and surprised when director Rupert Wyatt's Rise turned out to be one of the best offerings of the summer back in 2011 and thus immediately became more interested in the mythology of the series as all I'd seen prior was the original and Tim Burton re-make. When Matt Reeves took over the series for 2014's Dawn it was easy to tell the direction they were going and how we might eventually connect the dots from one movie to the next, but that didn't make the journey any less thrilling. Though I was somewhat underwhelmed by Reeves' film there was still much to admire about it including the lush visuals and attempts at addressing larger themes (albeit this is a theme throughout the entire series). It seems the director has once again accomplished as much with this third installment as it looks truly epic in both thought and visual scale. 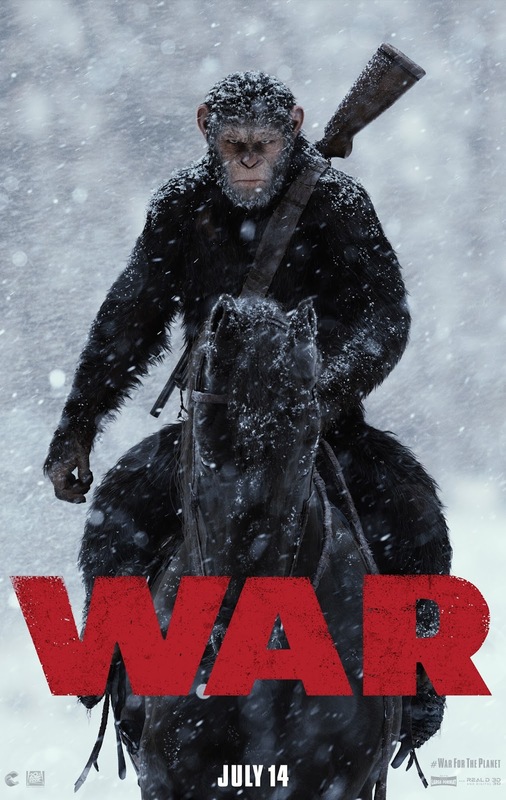 War for the Planet of the Apes stars Andy Serkis, Woody Harrelson, Steve Zahn, Judy Greer, Terry Notary, Karin Konoval, Max Lloyd-Jones, and opens on July 14, 2017.